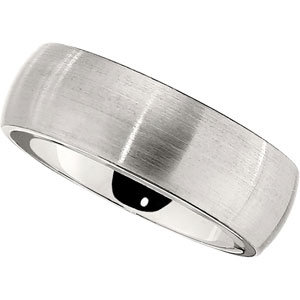 This 8mm Vitalium band and beautiful example of a vitalium ring comes with a satin finish. Vitalium rings are the new standard for quality and will usher in a new era for mens wedding bands. Vitalium rings will never oxidize, can be easily removed, and are brilliantly white. They are also 2x as hard as cobalt rings.